China has quite the reputation for monitoring its citizens, and various parts of the country are constantly figuring out new ways to use gadgets to that end — RFID chips in cars, facial recognition sunglasses, and location-tracking uniforms for students each made headlines in the past year. Now, you can add sanitation workers with GPS-equipped tracking bracelets to the list. 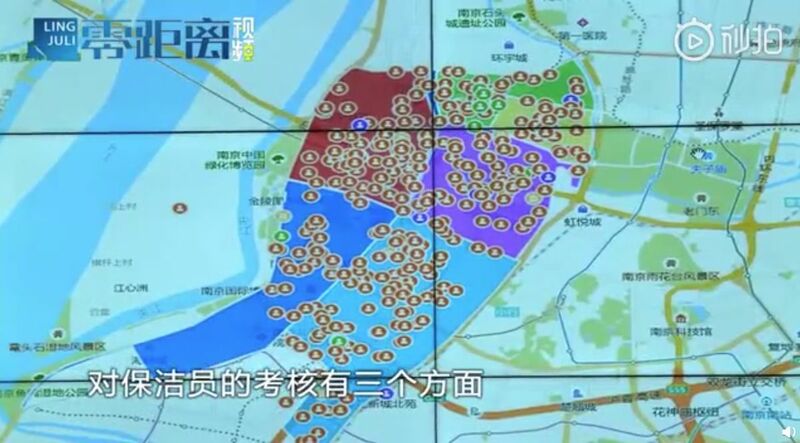 The original Jiangsu City Channel video report that reportedly brought this to light (here, but Weibo login required) shows workers are being tracked as pins on a map.